I’ll forever remember this day. It was the first I had seen my father in quite some time, and my first visit to his new mountain home. We toured the area to take in the beauty of the mountain valleys and nearby towns of southern British Columbia. Our last stop was this little park with this beautiful stream. 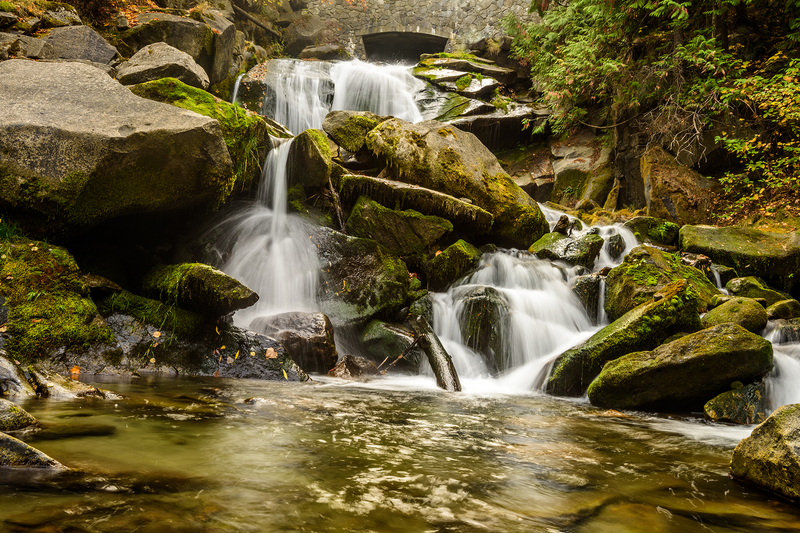 The water tumbling over the rocks, the moisture feeding the green moss, plants and trees, all much too green for this late in the fall. I could see the shot but knew I needed to be in the middle of the stream. Precariously I began to step from rock to rock. A slip, a crash, one wet foot and nearly more, but all I heard was my father’s chuckle. This image is dedicated to family. Family in my life has been much like this small waterfall, it’s had highs and lows and tumbled through stages but as the years go by much like the pool at the bottom I’ve collected moments and memories. My father may never know what a special moment this was for me, not because of the waterfall but because he was there with me.